A steel plug with a 1/8" Allen hex head, used for draining the oil rail before pulling injectors. Genuine Navistar OEM parts. Use a straight 1/8" Allen wrench and lightly tap the wrench into the socket hole to remove any oil or debris from the Allen wrench hole as these plugs are easily stripped out if the wrench is not seated in the plug. 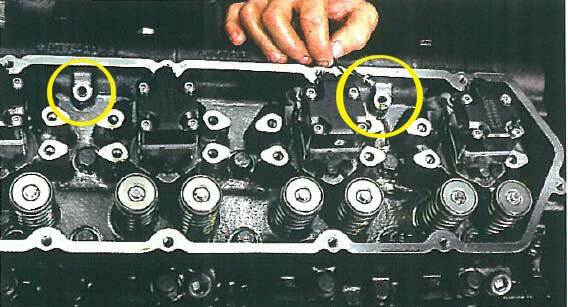 There are two plugs under each valve cover.